I am using Airtel service for so many years now and one thing I always get annoyed with is whenever I need to talk to Customer Support Representatives I had to go though a series of Menus on their toll free number 121. This task takes many minutes and that too you have to pay for it. If you lost your mobile and you want to block your number this process becomes even more painful and frustrating. To avoid this agonizing pain of waiting for the correct option to come and you select it and then you get connected to the Airtel Call Center person here are the simple steps you need to follow. 2. Wait for few seconds and press 19. 3. Wait for few seconds and press 1 again. 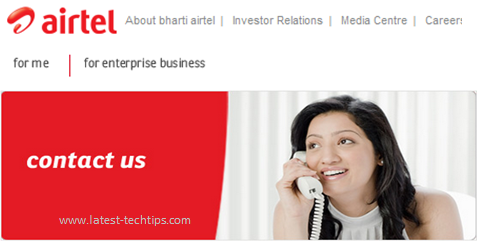 You will be connected to the Airtel Customer Support person in less than 10 seconds. Many people do not know this and hence I am sharing this. Don't try to dial 121191 directly it does not connect.